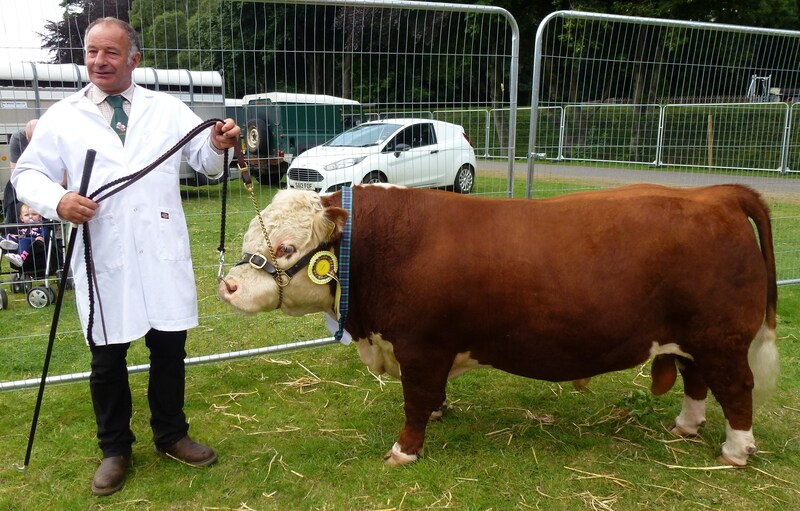 Starburst 1 Julie and Andrew in the ribbons in a large class of Any Other Breed, followed by Starburst 1 Joanna and Andrew placing second in Any Other Breed August 5, 2013, Andrew & Marie Bayliss showcased some Starburst Hereford cattle at the Turriff annual show. 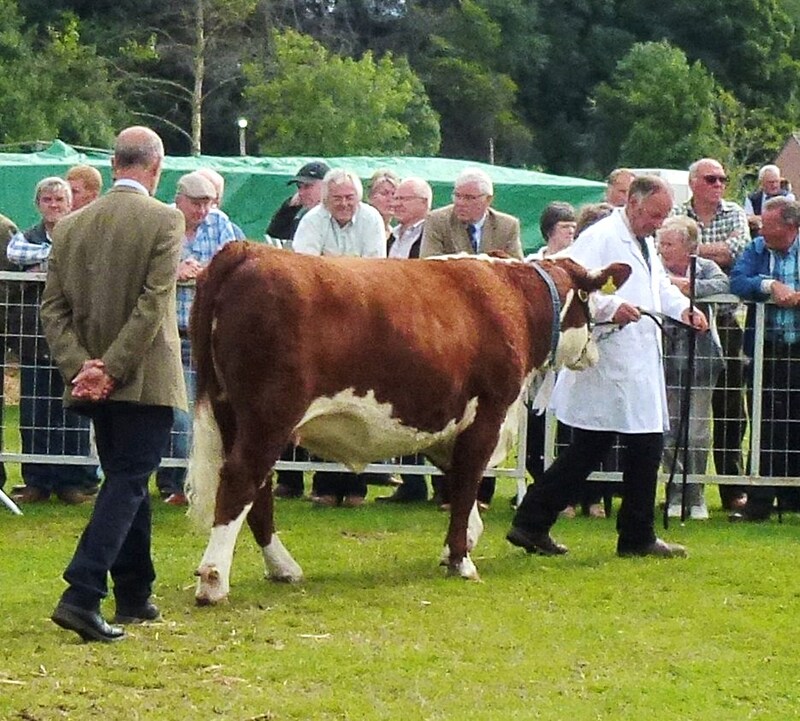 Mini Goldrush was a highlight and placed a respectable third in Any Other Breed against some spectacular Lincoln Reds. Goldrush drew a lot of attention, with many people wanting to photograph him especially beside standard size Herefords. The weather was tremendous and great fun was had by all. Starburst Herefords has placed first in both the Junior Bull and Junior Cow class, with stiff competition from around the world, in the second annual 2012 Virtual Cattle Show for Miniature Herefords, held by the Australian Miniature Hereford Breeders Network. We are delighted with this honor as these two animals are foundation stock for our UK herd, having produced their first offspring together in June 2012. June 28, 2012 10:00PM – Starburst Joker, a 34 pound perfectly marked Miniature Hereford bull arrived unassisted from a heifer mother, Mini Ginger, and bull Mini Goldrush. 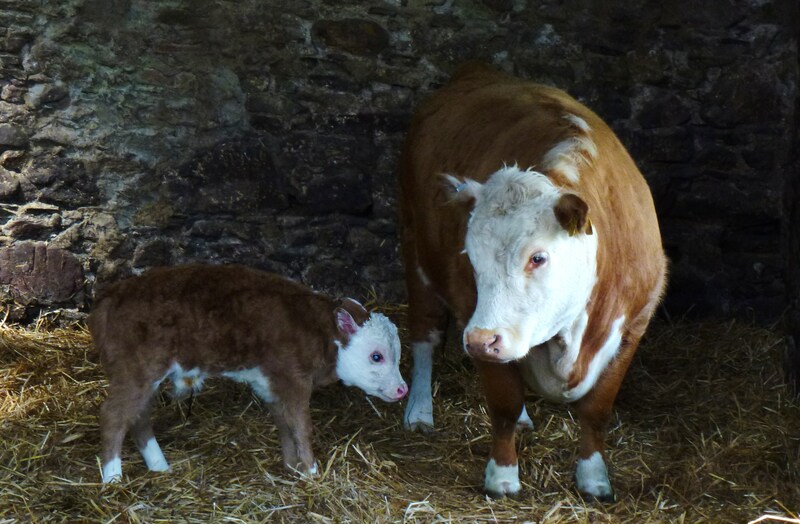 This naturally bred calf was a first at Starburst Herefords, in Scotland UK. 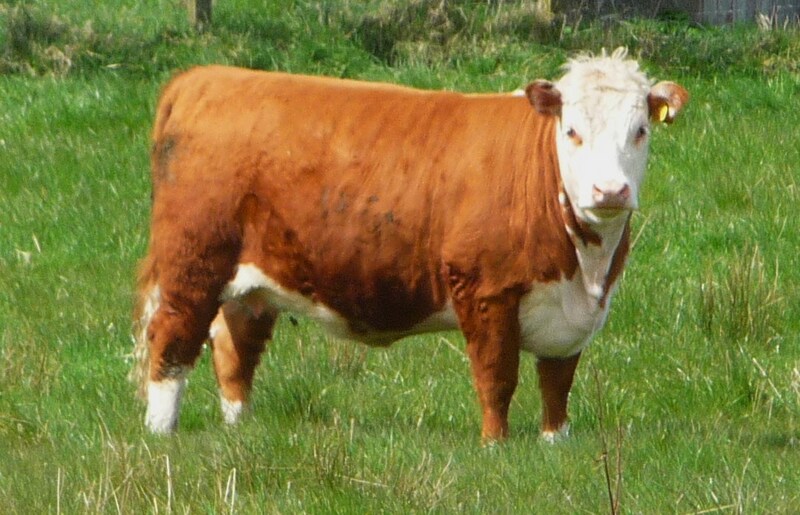 Although breeding naturally in Canada since 1994, most Miniature Herefords in the UK, regardless of breeder, has been born from embryos obtained over the years from the Starburst breeding program in Canada. 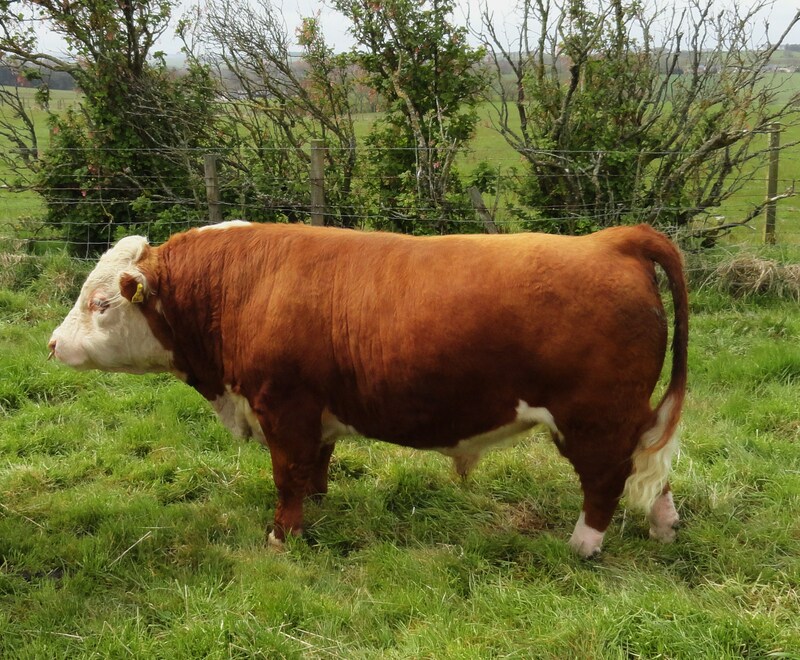 This natural service baby is from the same well established breeding program, and one of the first Miniature Herefords in the UK to be born by natural service. 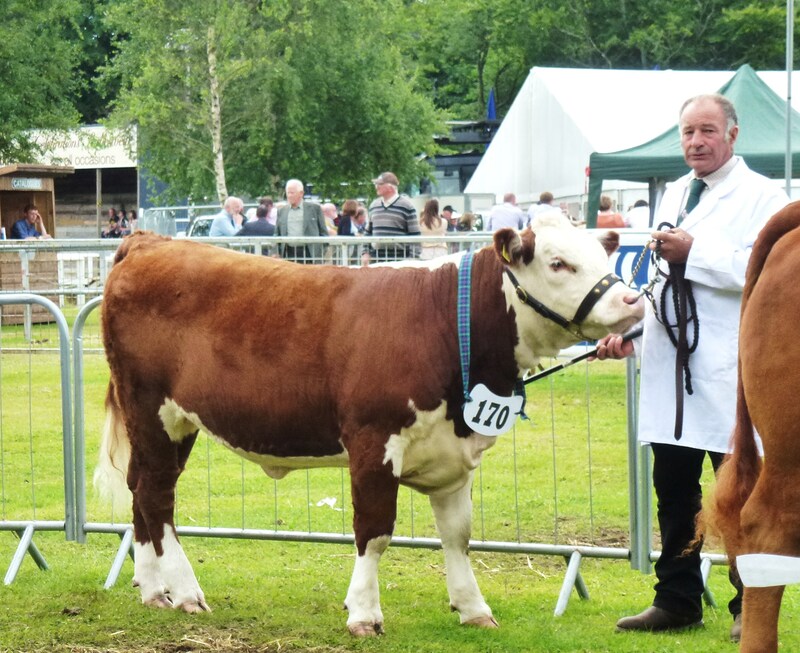 Joker will be an ambassador of the breed, as he will be retained on farm to help introduce visitors to Miniature Herefords.